Others offer solutions to monitor things, but only one network is anywhere you need it to be. Freedom. Use MAX Series autonomous notification sensors anywhere. The network powering IoT. Ask us how. The network is the core of our business. And at ArmIt, our goal is delivering network solutions that empower the Internet of Things. With the right solutions, your enterprise can grow faster and operate more efficiently â€“ simultaneously keeping data safe and secure. Just tell us what you need. Weâ€™ll work with you to create the ideal combination of solutions and support to make it happen. ArmIt Remote Temperature Monitoring solutions can serve any required applications. ArmIt offers solutions ranging from its stand-alone cellular temperature monitoring sensor to a city-wide LPWAN installation. ArmIt Medical Device Monitoring solutions leverage technology to solve a host of common problems or compliance reporting. ArmIt LoRaWAN offerings can help bring mass efficiencies and scale to your IoT product or endeavors. The ArmIt Network manages LoRa gateways for industrial, commercial, enterprise and residential installations. Speak with an ArmIt Solutions Team member today. Not all solutions are created equal, ArmIt Cellular IoT network provides our customers with an end to end managed cellular IoT solution. End to end ownership allows ArmIt the unique ability tp deliver reliable service, usually only found with the large global players. ArmIt offers the right Smart Cities IoT solution, today. Monitoring environment, air pollution, transportation, assets, disaster prevention from water, freezing and countless applications. ArmIt IIoT services deliver on the promise of improved operational efficiency and loss mitigation. Whether using ArmIt autonomous endpoint sensors or our EDGE gateway solutions, we have the Industrial Internet of Things solution for you today. We aim to provide great customer support. For product inquiries, business opportunities, support, media or investor questions, please fill out the form below. 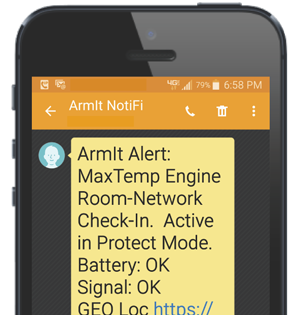 ArmIt is a global monitoring and notification network that has the ability to Alert, Respond and Manage Internet of Things (IoT). We aim to be a key central monitoring station for the IoT: Connecting, monitoring, and managing billions of devices. ArmIt has developed low-cost technology for managing smart systems and Internet things. Our network architecture allows for mass scalability, global deployment and redundancy. With more than 4 billion Internet users and 5.5 billion Smartphone users, Internet of Things devices and sensors can connect to the ArmIt Network globally via cellular, terrestrial and wireless networks. These networks cover 90 percent of the worldâ€™s population. We have created a fully scalable and redundant network that has the ability to Alert, Respond and Monitor the Internet of Things (IoT). ArmIt provides customers with monitoring solutions. We offer simple devices to monitor what is important to them. There are millions of assets, systems, applications and environments on earth that need monitoring for countless reasons. ArmIt has an off-the-shelf solution to solve any problem, anywhere. Others offer solutions to monitor things ...but only one is â€˜anywhereâ€™. ArmIt Company © 2017 All Rights Reserved Worldwide.